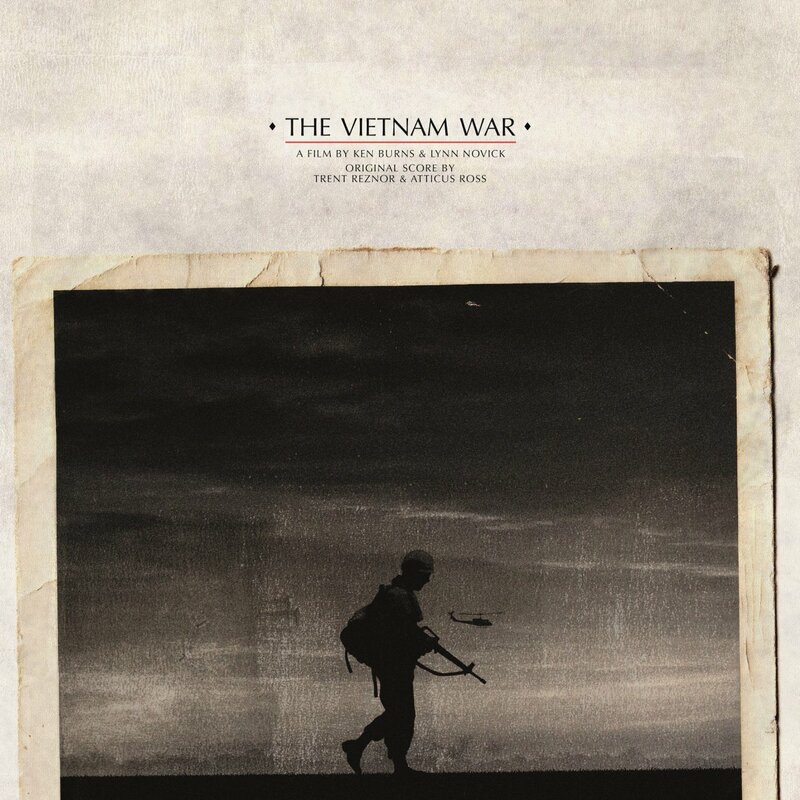 Let’s not waste any time here—the most recent film score to come out of the Oscar-winning duo Trent Reznor and Atticus Ross, the soundtrack to Ken Burns’s The Vietnam War, is first and foremost exceptionally, stunningly beautiful.
. . . How? How can something so tightly woven through something so horrific be anything else? Ken Burns needs no introductions and may as well be the definition of “Masterful Documentarian.” And by this point, Reznor has done well to establish himself as a film composer of serious merit; anyone who keeps regarding him as solely the man behind Nine Inch Nails (or hey, the Quake soundtrack for all my old-school gamers) is missing something substantial. In 2011, Reznor took home the Oscar for scoring The Social Network, and now he is as buried in prestigious awards for his film scores as he was buried in goth girls in the ’90s. Love or hate what Reznor has done with Nine Inch Nails and various side projects, his successes in this space are undeniable. Atticus Ross is not to be discounted here, either. A longtime collaborator with Reznor (he has been doing production and programming for Nine Inch Nails since the mid-’00s), Ross’s talents are standalone and an imperative element to what makes the duo’s film scores so great. Last year’s climate-change film Before the Flood was scored by Ross and Reznor (along with Mogwai and Gustavo Santaolalla) and marked their first collaboration on a documentary. That soundtrack was incredible, but there is no denying that a jump up to a Ken Burns project is a high jump indeed. Scoring a documentary also differs from scoring a work of fiction; enhancing the narrative while being cautious of the manipulation of it is another line to balance. Don’t be fooled by dates though—The Vietnam War was 10 years in the making, with Ross and Reznor working on the soundtrack for several of those. Reznor’s foray into soundtracks has had to be somewhat challenging, especially since it’s clear so much heart goes into them. Balancing the expectations of an existing fan base with the ability to create material unhindered is not easy or enviable task, and it seems a disservice to gloss over this part. In a preferable world, perhaps Reznor’s work on Nine Inch Nails would be considered separately from his work as a composer, but that world is not this one. The fact is, a fair amount of people are going to follow the Reznor/Ross soundtracks because of who made them. It is here in the soundtrack for The Vietnam War where this concept seems to be the most complementary. 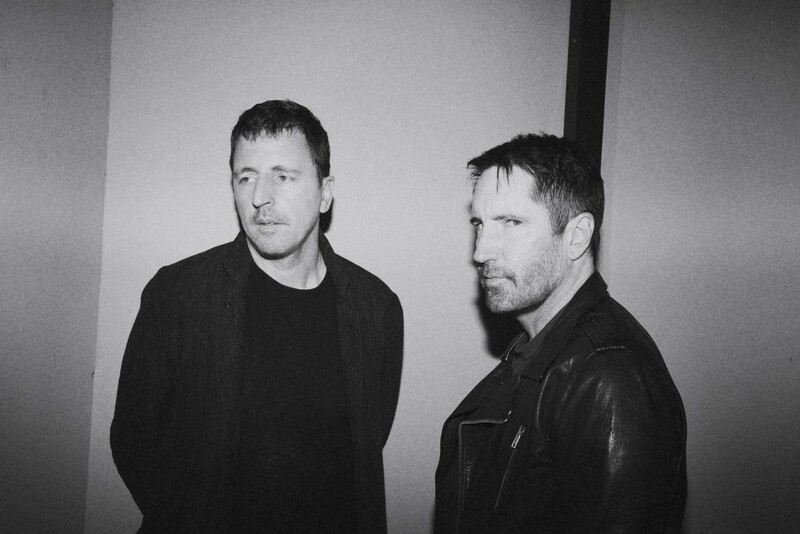 Reznor, alongside Ross, does what he does best: craft haunting, ethereal, and complex soundscapes that are somehow more human than they are industrial. Each track feels as illustrative, emotive, and fitting to the source as they feel like something inherently and undeniably “Reznor,” and those elements never work against each other. Most of the tracks seem like they’d fit perfectly as some sort of companion piece to The Fragile, without trapping Reznor or Ross into the expectations of their previous work. “The Right Things,” a nuanced and layered piano-driven piece, is mournfully familiar yet fresh, while tracks like the brooding and dizzying “Before and After Faith” provide such a layered and evocative experience that will leave you with more to find even after repeated listens. There are treats everywhere on the album, which utilizes sound effects sourced from the era, and every track echos chaos, loneliness, bravery, and loss. Trent Reznor has always been immensely talented at turning moments of darkness into vulnerable beauty, and here alongside Atticus Ross and Ken Burns, he could not have done it better.